Within days of our Wildlands experience, Kristian Hains and I were signed up for our next adventure race. Seems, that like me, he caught the "Adventure Race Bug" pretty bad. Both of us had spent some time mountain bike racing....but, to the two of us, this was so much more. We had become really good friends and we found out, that as a team, the two of us worked very well together. We each brought to the table our own skill sets and, combined with our love of mountain biking, we figured we could possibly fair well...after all, we managed a 5th place finish at Wildlands with no experience. Kristian and I had another thing going for us...we were both familiar with the trails at French Creek...and we knew what we were in for. Long and steady uphills, rocks, and more rocks. Looking back on this race eight years later, I don't remember many details except that we seemed to be doing well and that we had the sense that a top three finish was within our grasp. The fact that I don't remember the orienteering section of the race makes me think that we must not have had much trouble with it. The real trouble began halfway through the mountain bike portion of the race. The portion that Kristian and I viewed as our strength. Riding down a technical section of Boone Trail, near Scott's Run Lake, I hit a series of rock gardens harder than usual. As my 2006 Specialized Epic popped out from under me, I heard a metal on rock sound that is not appealing to any mountain biker. I didn't see any immediately damage, but believe me, it was there. Just a few hundred yards up the trail I heard metal snap. My rear derailleur had ripped completely off of my bike! I thought it was over, but Kristian pointed out that we could just cut the cables, tie them up, and turn my bike into a single speed for the rest of the race. 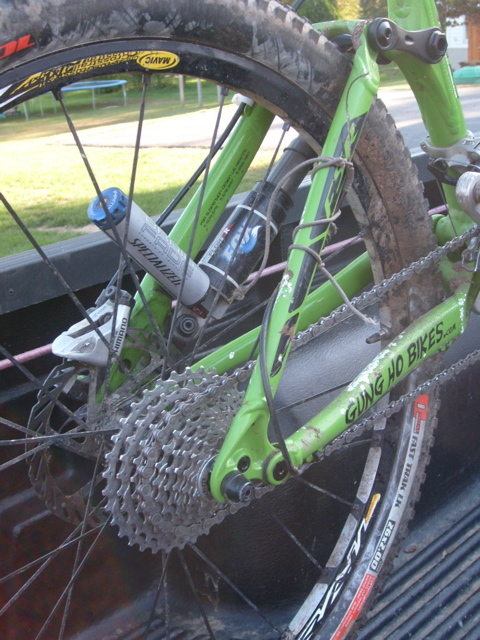 After all, whether we converted my bike or if we just DNF'd (did not finish), I was going to have to buy a new derailleur. With some basic tools, and some of Kristian's ingenuity, we were back in the game. Unfortunately, we must have been passed by half the field. Time to make up ground. And make up ground we did! 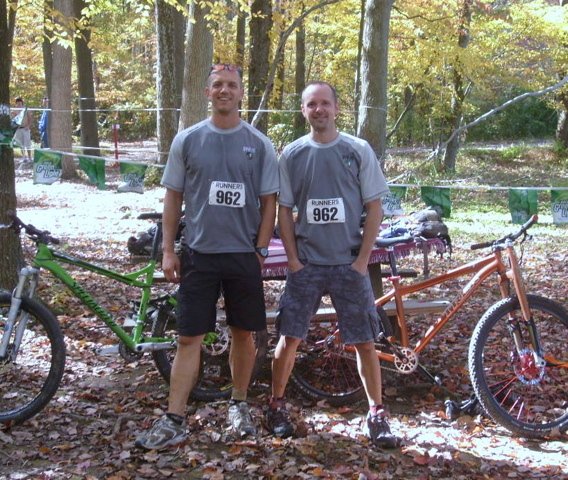 Considering that we lost about 20 minutes fixing my bike, the two of us managed to finish 17th overall and within the top 10 in our category. Not bad a bad day after all. This is what Kristian and I loved...the adventure completed together. Something we accomplished as a team...and some amazing memories and stories we would have forever. 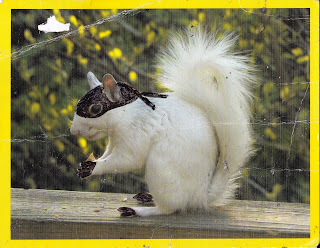 With cold weather approaching, it was time for the White Squirrel to hibernate for the winter...but, by April, team White Squirrel would return, with their best effort to date! 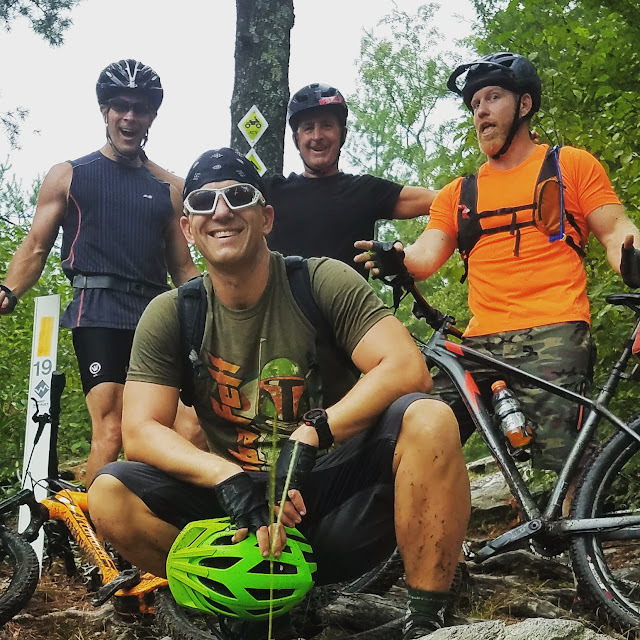 If you are interested in competing in a few of Butch's adventure races be sure to check out Breakaway Sports....and as always, you see all of our riding pics at All Trails Lead To Ice Cream.